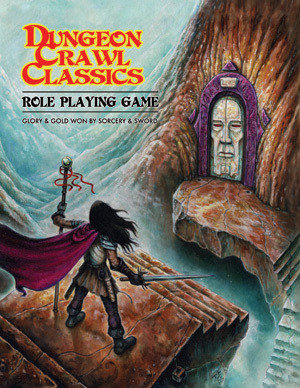 This was our first delve into the DCC RPG by Goodman Games. I really, REALLY like this game, it’s definitely old skool and feels like you’re playing some weird gonzo version of something from 1978. Perils was from a third party publisher, Purple Necromancer, and although for some reason we got right up to the end of the module we never finished it. Too bad. It was fun. I will say though, the game is heavily reliant on critical hit tables, and magic is vastly different from D&D, in that magic is insanely powerful but with the caveats that it doesn’t always work when you need it to, and wizardly magic steadily destroys your mind, body and spirit until you are just a crumpled shell of the being you once were and probably host to demons. So have fun with that.